As Hurricane Florence slams the Carolinas and neighboring states, many residents are experiencing what officials call "the storm of a lifetime," with its catastrophic flooding, storm surge and damaging winds. The storm - which made landfall with life-threatening storm surges and wind - prompted mass evacuations in coastal areas and was forecast to be one of the strongest hurricanes to hit the area in years. "This will likely be the storm of a lifetime for portions of the Carolina coast," the National Weather Service spokesperson in Wilmington, North Carolina, said late Tuesday night. "I can't emphasize enough the potential for unbelievable damage from wind, storm surge, and inland flooding with this storm." Flood conditions will worsen through the relentless rainfall over the next couple days, officials warned. For those out of the path of the storm looking to help those impacted, it can be difficult to navigate the slew of humanitarian organizations and charity networks out there that are promising relief and aid for those impacted by the storm. Below is a roundup of all of the organizations that have been approved by the nonprofit group Charity Navigator as highly-rated organizations that are currently responding to areas affected by Florence. 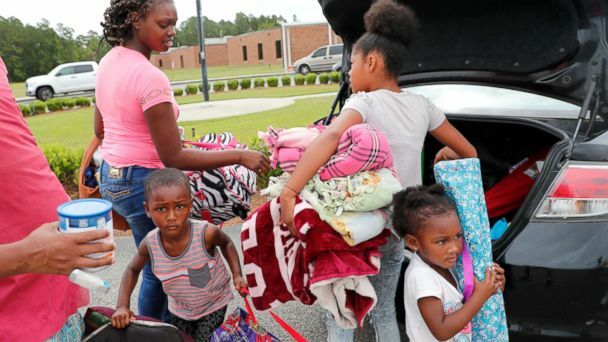 The American Red Cross has already mobilized more than 1,500 disaster workers to aid in the relief efforts as residents hunker down or flee ahead of Florence. The American Red Cross is currently taking donations to aid in their response efforts -- specifically for those affected by Florence -- here. The health-focused disaster relief organization, Americares has already deployed a response team to North Carolina ahead of Florence. "The storm is on track to make a direct hit on the East Coast and impact much of the southern United States in the coming days," Americares Director of Emergency Response Brian Scheel said in a statement Monday. "Our response team has been activated and is ready to meet the immediate health needs in affected communities." They are currently collecting donations for emergency medicine and other supplies specifically for those impacted by Florence here. The North Carolina Community Foundation (NCCF) is a local humanitarian organization based in North Carolina that partners with local charities that support the community -- and is still ranked as a highly-rated charity currently providing aid to the Carolinas ahead of Florence. You can learn more about how to support their relief efforts on the ground on their website. The nonprofit crowdfunding organization GlobalGiving, which supports grassroots charity projects on the ground in areas affected, has launched a Hurricane Florence relief fund. The fund will support immediate relief efforts such as food, water, and medicine but also invest in longer-term recovery projects to help residents rebuild their community after the storm recedes. When these storms hit, animals -- especially those in a shelter -- are often extremely vulnerable as residents evacuate. If you are looking to help with the relief efforts for pet shelters, the national nonprofit organization American Human and the local Charleston Animal Society are both highly-rated organizations aiding in the Florence relief efforts specifically for four-legged residents of Virginia and the Carolinas.